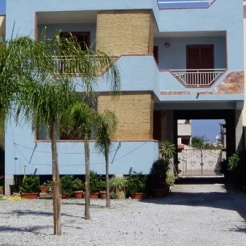 With our structure we have the solution for your holiday in Sicily. You can choose the accommodation which suits you most between apartments and detached house convenient for families and groups. You will find comfortable, spacious rooms, to freely manage your days in total privacy. Thanks to its practical kitchenette you can organize your breakfast, lunch, dinner to taste by reducing the cost of your holiday. Prices starting from only EUR 10.00 per person per day..
Spring offer. One or two rooms equipped for your holidays at sea. Dimension x adult: 2 nights = € 40 per person. 3 nights for the price of 50 euros per person. 4 nights = 60 € per person. 7 nights = 100 euro per person. Custom quotes with offers for families with children.